This article focus on Rejuvenation, which is to make (someone) feel or look young, healthy, or energetic again and to give new strength or energy to something. 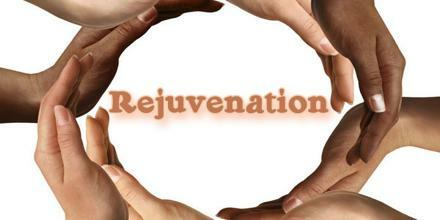 It can be a means of life extension, but most life extension strategies do not involve rejuvenation. It is the reversal of aging and thus requires a different strategy, namely repair of the damage that is associated with aging or replacement of damaged tissue with new tissue. In some religions, people were to be rejuvenated after death prior to placing them in heaven.